The British Lionhearts maintained the team’s unbeaten start in the World Series of Boxing (WSB) with a 3-2 away victory over the Morocco Atlas Lions in Casablanca last night. 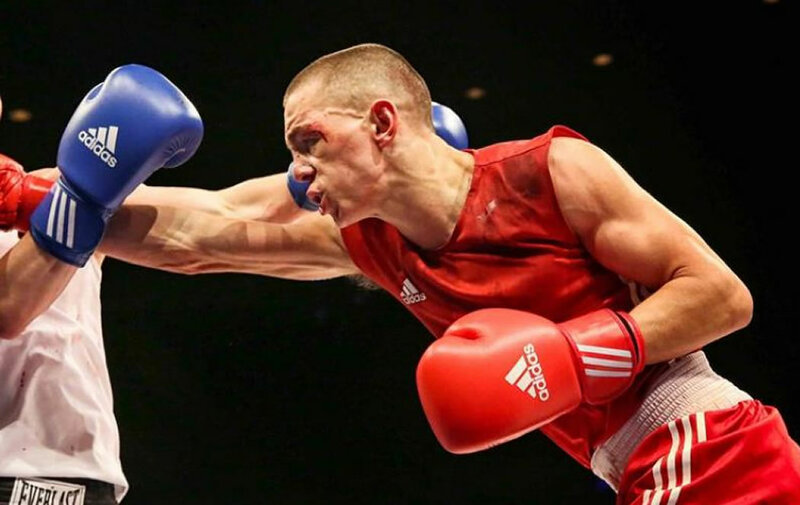 An inexperienced Lionhearts line-up, which featured three boxers that had never competed in WSB, overcame the Atlas Lions to put the British team top of Group B and gain revenge over the Moroccan outfit that defeated the Lionhearts home and away in last year’s competition. Wins for Luke McCormack and WSB debutants, Frazer Clarke and Muhammad Ali in the first three bouts of the evening gave the Lionhearts an unassailable lead which the Atlas Lions were unable to claw back despite restoring some pride by taking the final two contests of the night. A replay of the whole match can be watched on BoxNation (Sky 437/490HD, Virgin 525, Freeview 255, TalkTalk 415) at 7.00pm on Saturday 6 February 2016 and 2.00pm on Sunday 7 February 2016. The contest began with a controlled performance by British lightweight, Luke McCormack, who boxed at range and used his superior boxing skills to secure a unanimous points win over Abdellah Boudrar. He was followed by Frazer Clarke who gave an impressive account of himself on his WSB debut, overpowering Ahmed Bourous and twice sending his man to the canvas on the way to a unanimous win. A mature performance by fellow debutant, Muhammad Ali, who defeated Abdelali Daraa in the flyweight bout, secured the victory for the British team. A spirited fightback saw the Moroccan team reduce the deficit to 3-2 as 2015 World Champion, Mohammed Rabii, outpointed Ekow Essuman at welterweight, and Hassan Saada overcame WSB debutant, Thomas Whittaker-Hart in the light-flyweight contest. But it was not enough to prevent the Lionhearts leaving Casablanca with all three points and an unbeaten record in the 2016 season of WSB. Next up, the Lionhearts will look to continue their unbeaten start to in the team’s first home match of the season against the Mexico Guerreros on Thursday 18 February 2015 at York Hall in London (doors at 6.30pm, boxing from 8.00pm). Tickets are £15 per fixture or a season ticket for all three home fixtures including the Mexico match and clashes with the USA Knockouts on 3 March and the Morocco Atlas Lions on 17 March is also available priced £30.